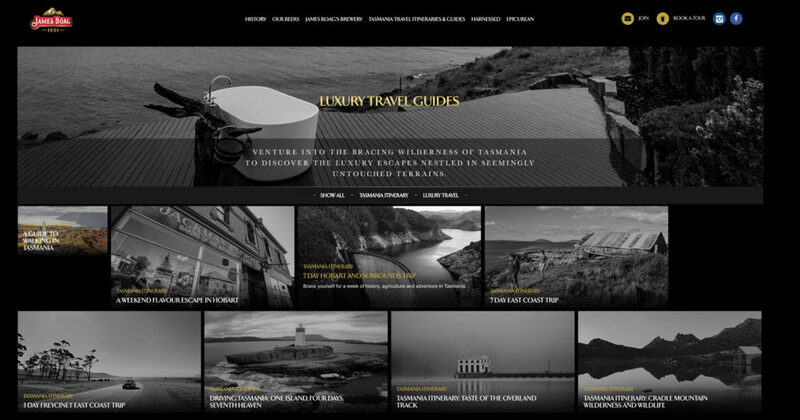 To build James Boags premium brand credentials, we partnered with Tourism Tasmania to create a suite of exclusive rugged-lux travel itineraries distributed via the brand’s social and digital channels. Partnerships with Influencer’s and like-minded brands (Canon, LandRover, M.J Bale) were brokered for further credibility and additional reach. The campaign achieved 5.6 million social impressions, 550,000 social engagements, 125% increase in website dwell and a 3pt increase in the “premium” brand tracker.